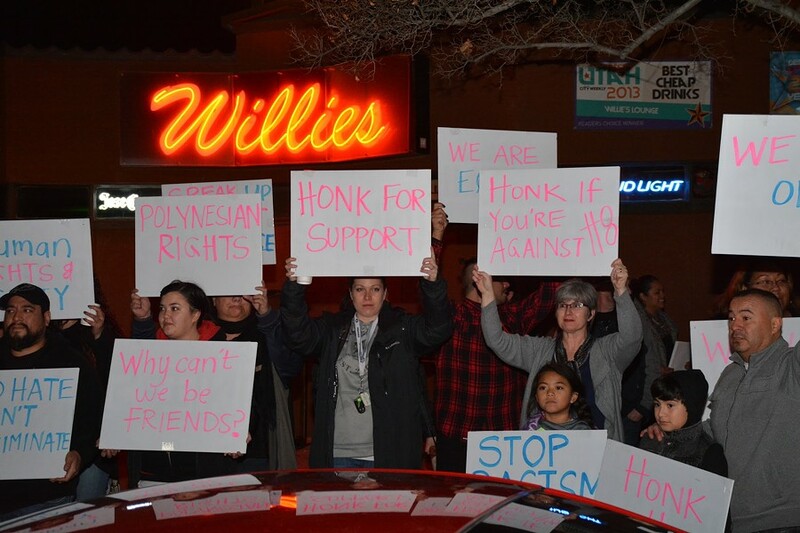 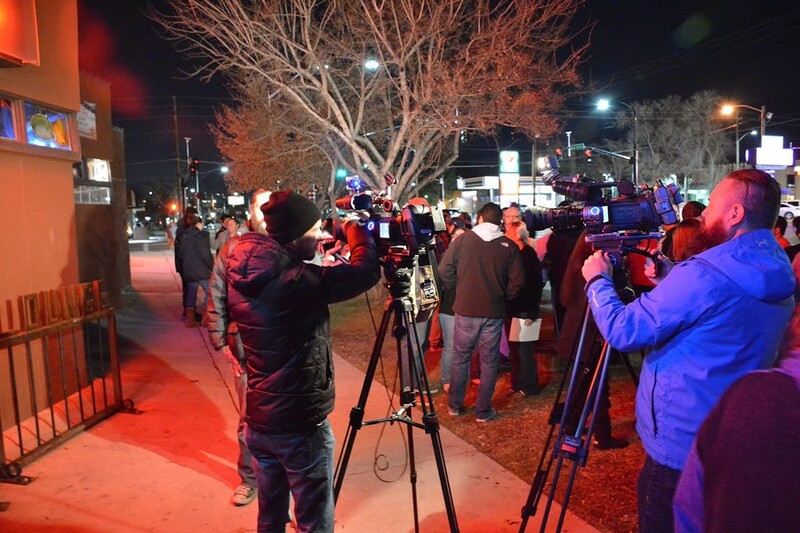 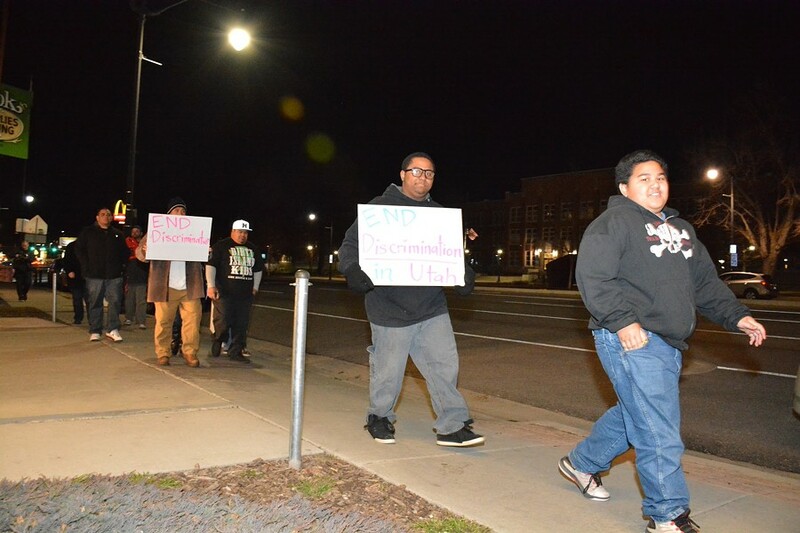 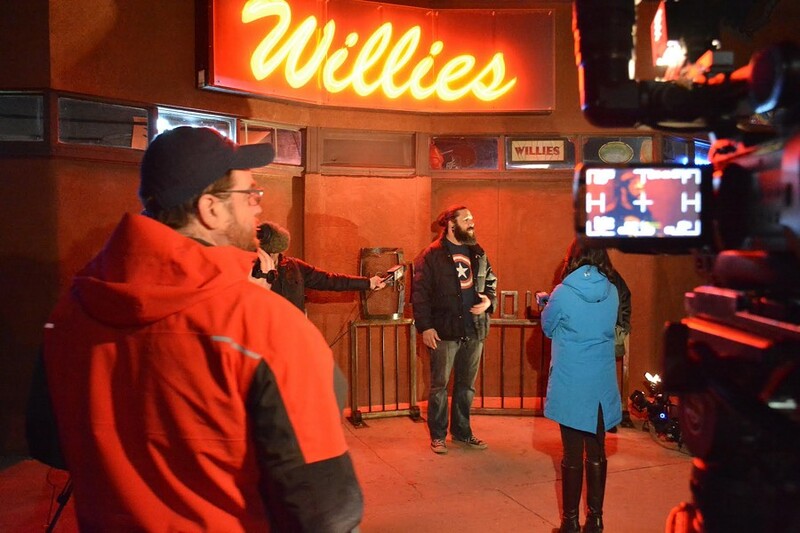 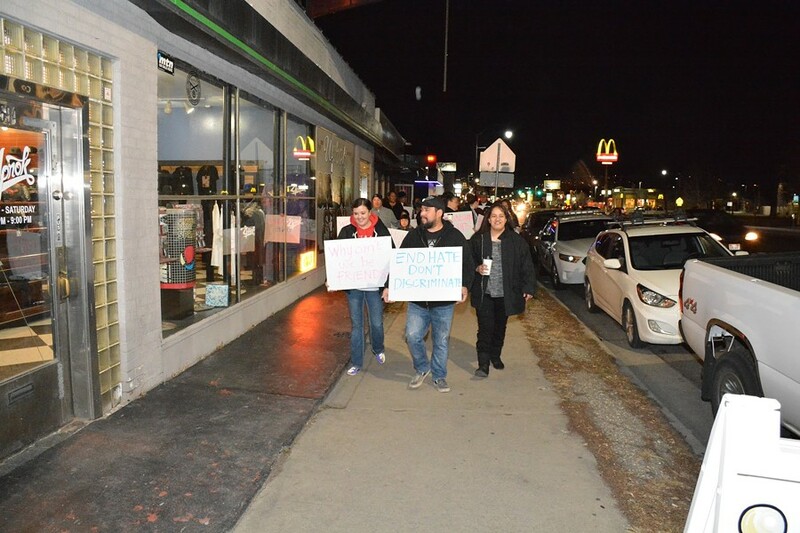 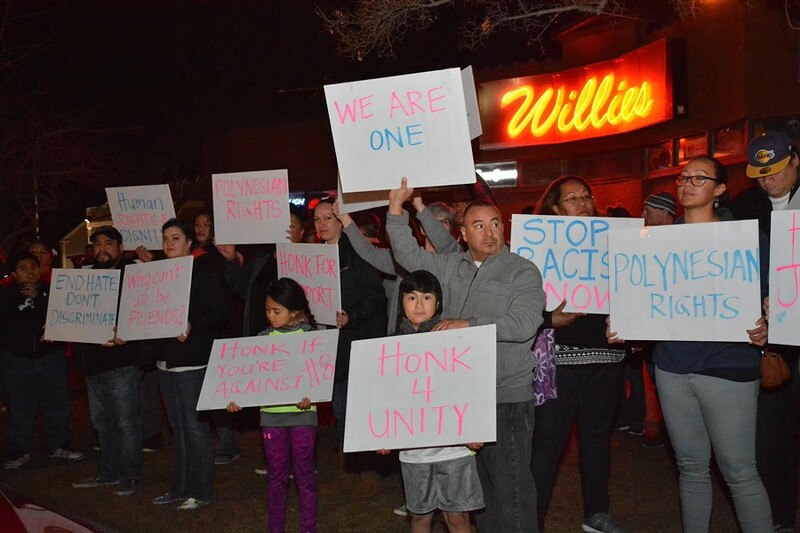 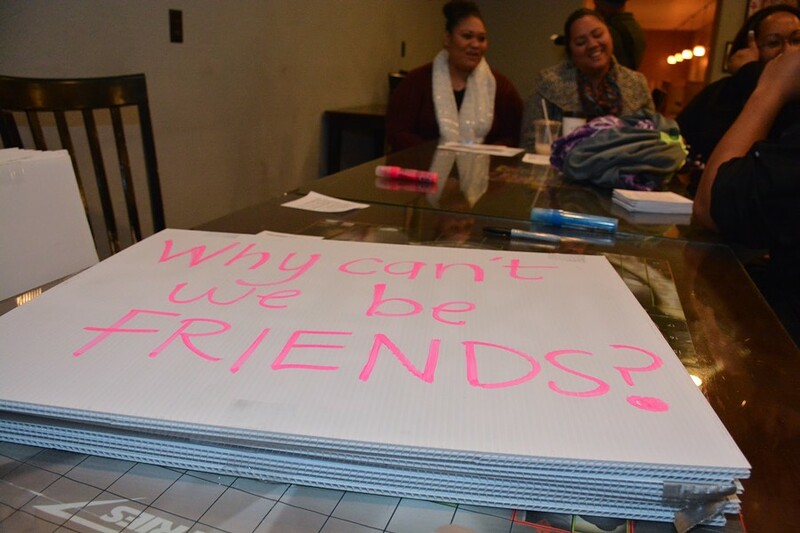 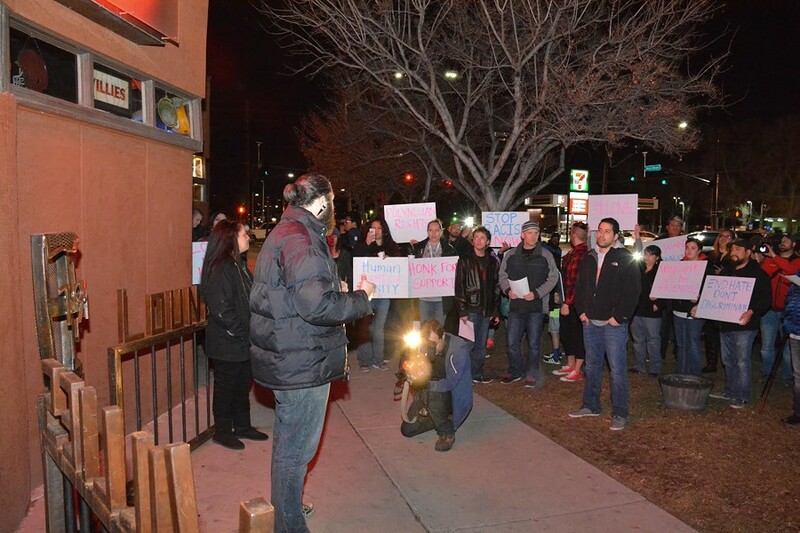 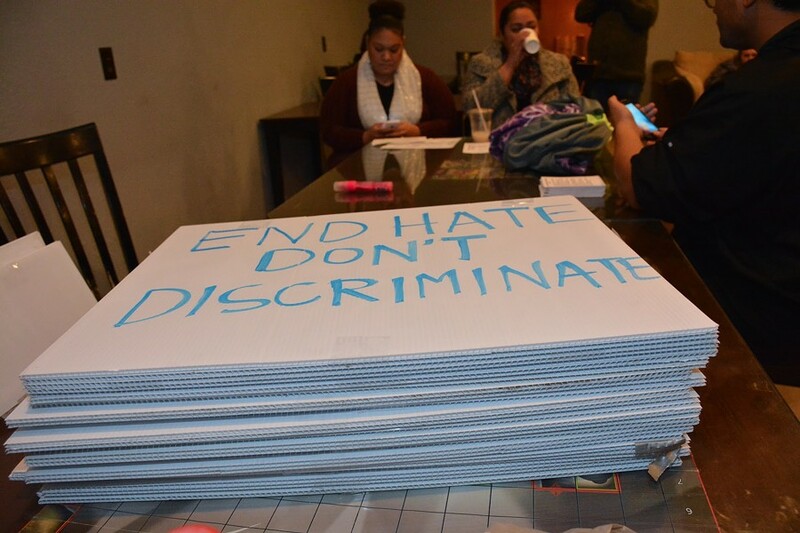 Carrying signs that read "Polynesian rights," and "End discrimination in Utah," members of Salt Lake City's Polynesian Community gathered last night at Watchtower Café and led a peaceful march to Willie's Lounge, where two men say they were denied service due to their cultural heritage earlier this week. 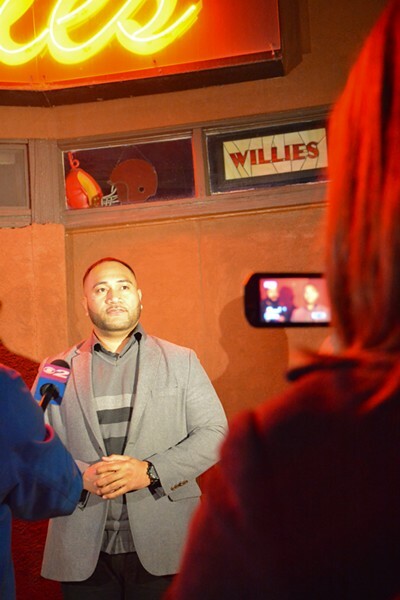 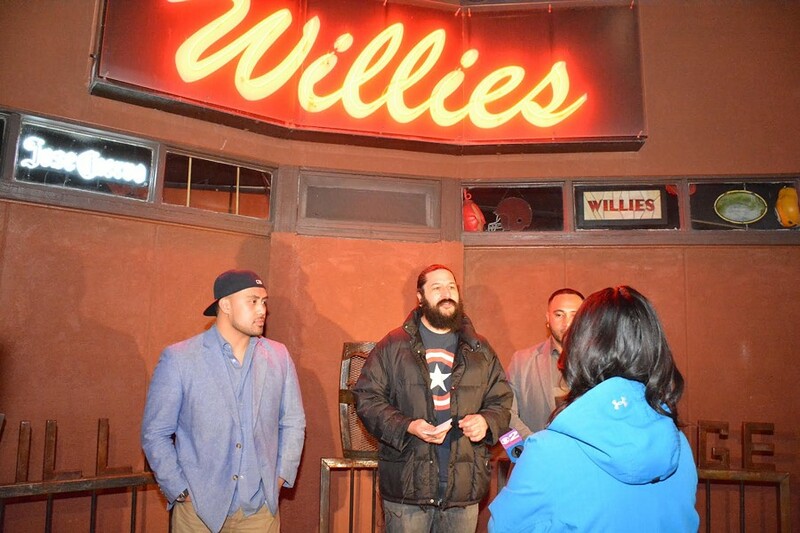 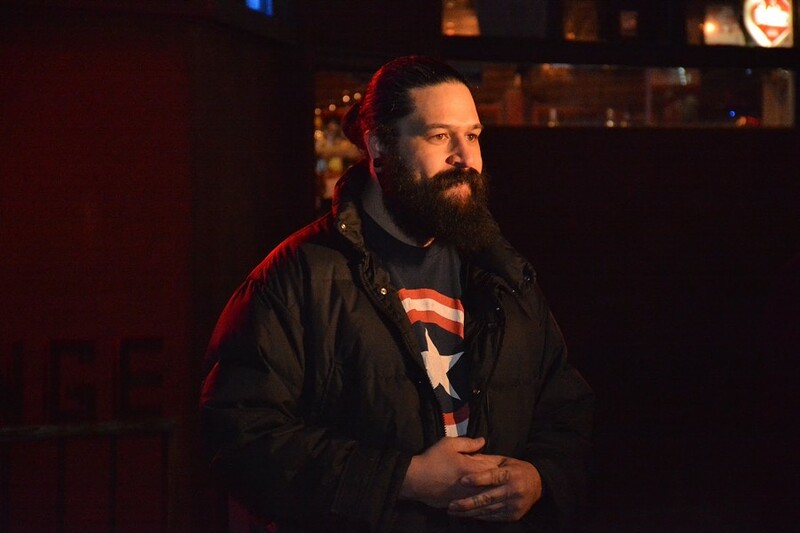 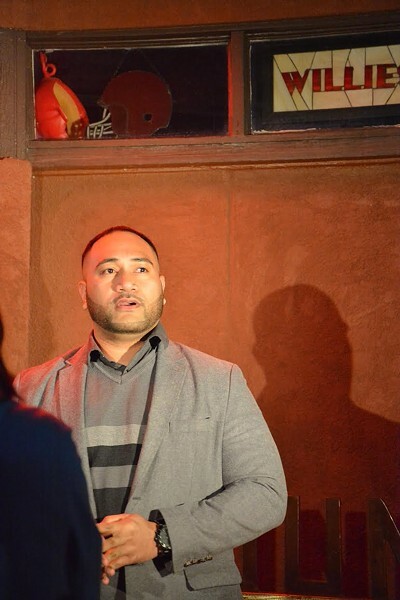 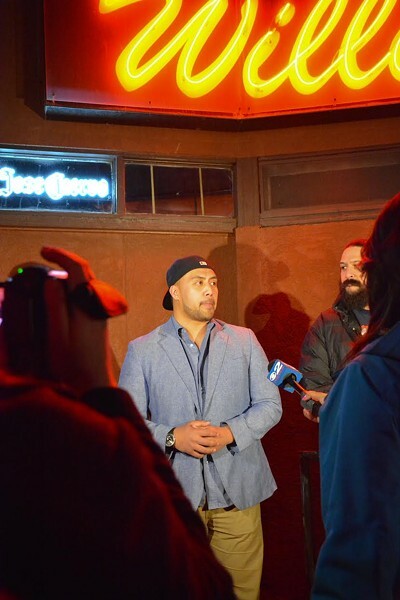 The protest, led by Watchtower owner Mike Tuiasoa did not include a performance of the Haka—the ancestral Māori war cry—as reported, but it did end with bar owner Geremy Cloyd, who said he tried to reach out to Maea and cousin Stephen Wily the night of the incident, shaking the pair's hand. 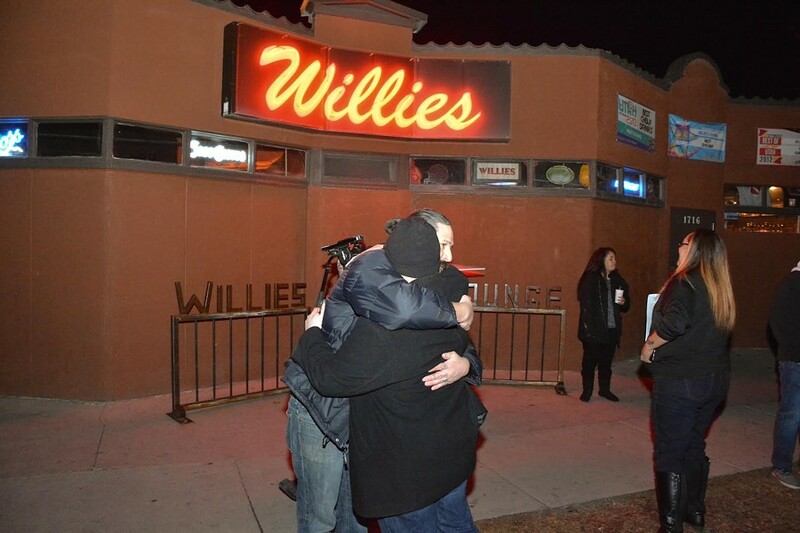 All photographs by Josh Scheuerman for City Weekly.